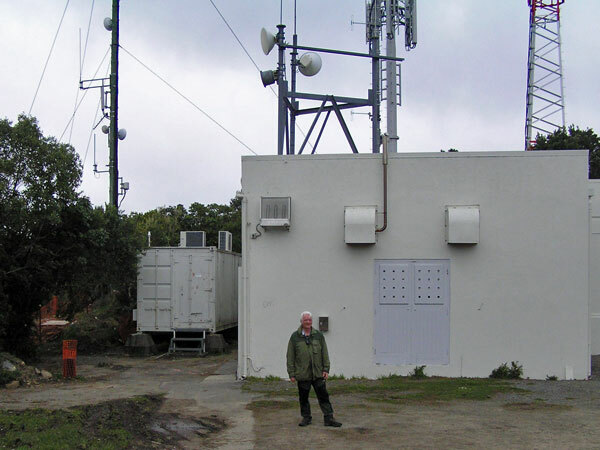 Peter Sayers (another ex ZLW Tech) and I visited the old ZLW site on Tinakori Hill today to see what it looks like. Peter was last there about 50 or 60 years ago. I hadn’t been back for 47 years. Needless to say the place has changed somewhat. Peter was there well before I was – during the 1950s from memory – and he was also at Makara for a while. He was disappointed that the old stone building was gone. 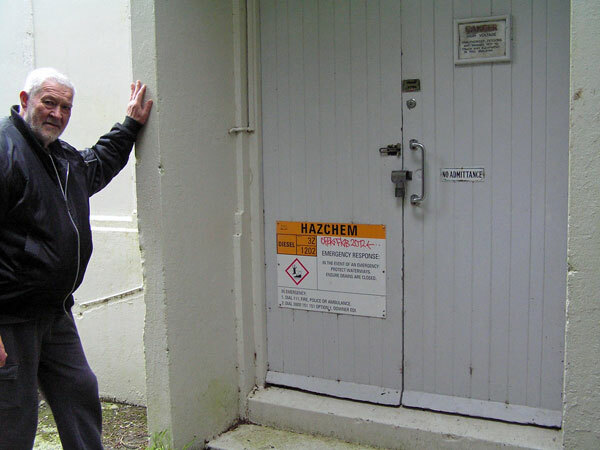 I noticed that the site is now relatively overgrown and the main door is overhung by trees and shrubs. The windows have all been barricaded up and there is barbed wire to discourage people climbing on the roof. 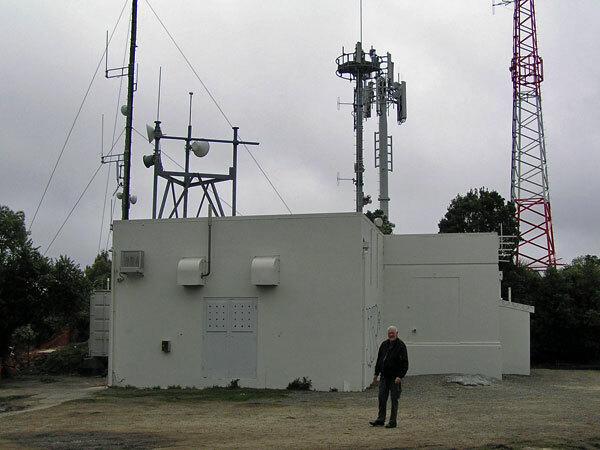 The trig station which used to be near the main door has been bulldozed and the area covered with several cellphone towers. It’s hard to say what equipment is now housed in the building but at a guess I would say Trunk Dispatch Mobile Radio, Cellphone equipment in the container, Microwave linking equipment and a few channels of basic Land Mobile gear or SCADA for the nearby water reservoir tanks. 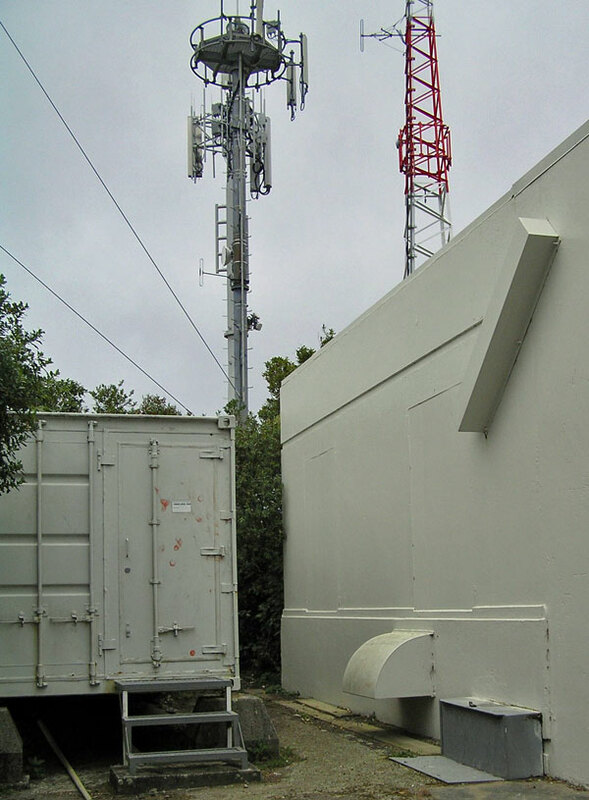 The sole remaining tower has a couple of VHF dipoles on it and looks to be freshly painted. A lot of construction work is going on around the cellphone towers and the area is fenced off. The road leading up to the site has lost most of its asphalt surface and regenerating bush overhangs it until near the top of the ridge where the transmitter building is located. I think the place looks derelict and uncared for, but I guess in time the regenerating bush will cover the scars. You have to use a lot of imagination to locate the old Receiving Office, and there appears to be no trace of the Riggers Shed or the Hostel. So as one might expect after so many years a vastly changed place. 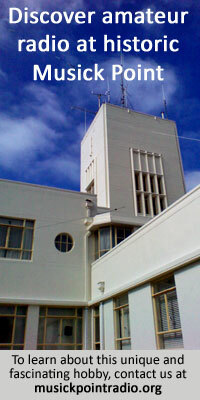 Chris Underwood was Senior Technician at Wellington Radio ZLW in the 1970s.